Eating at the Intu Metrocentre is about to get a lot more exciting with the addition of over 10 new restaurants as part of the mall's £17m redevelopment. 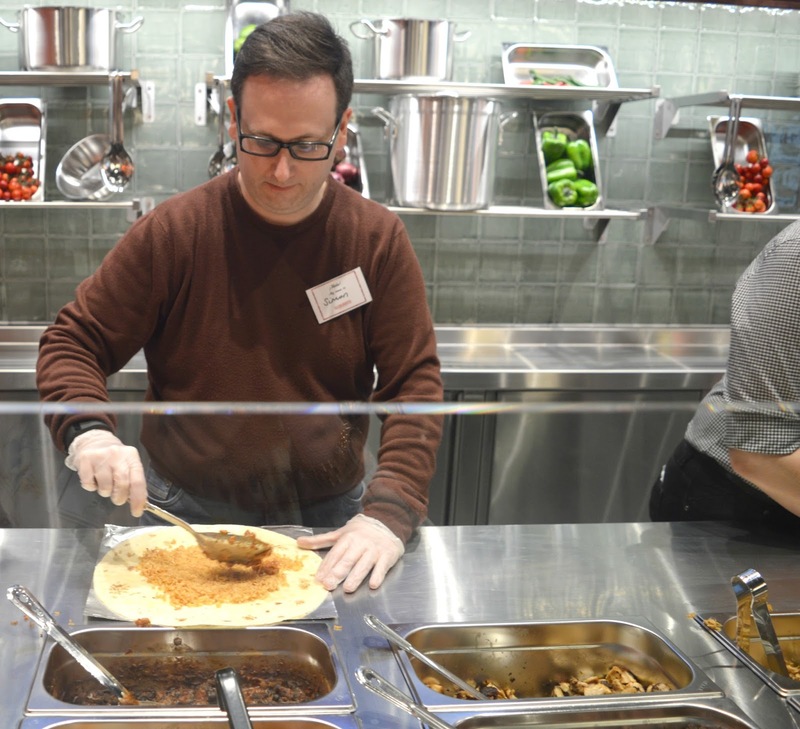 One of the very first new restaurants to open is Barburrito, Gateshead's first burrito bar. As you may know I am a huge fan of Zapatista who have two restaurants in Newcastle and have been serving up burritos to Geordies for a while now, so it's nice to see that Gateshead are now in on the action. I was invited along to a preview night so took my trustee sidekick Simon along for an evening of eating ridiculous amounts of Mexican food whilst trying not to get lipstick all over my face. Our evening began with a good look at the fillings Barburrito offer in the form of tapas style help yourself. 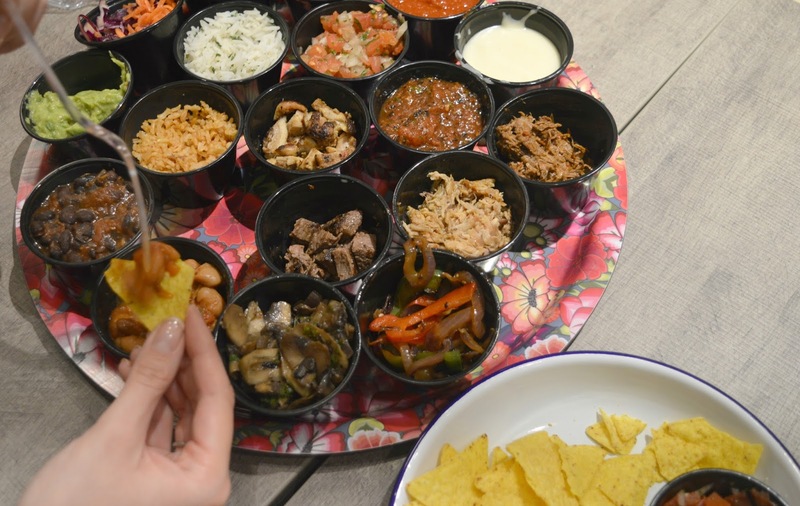 It was a great chance to try all that Barburrito offers and we loved delving into the different colourful pots of food. Grilled Chicken, Pulled Pork, Spicy Shredded Beef and a range of salsas, cheesy sauce and guacamole to dip our crunchy tortilla chips into. 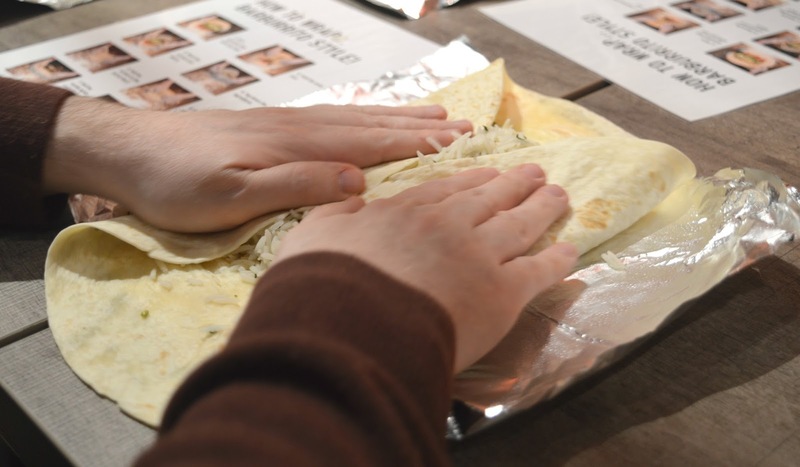 Just as we were beginning to feel a little tired and lazy after all of that delicious food we were pulled to our feet for a spot of hands on fun with a quick lesson in wrapping our own burritos. Definitely harder than the pros make it look we began by wrapping up rice, trying to perfect the complicated technique of where to put your fingers to create a nice tight roll. Once we were all happy with our technique it was off behind the counter to put our new skills to good use by creating our own dishes. 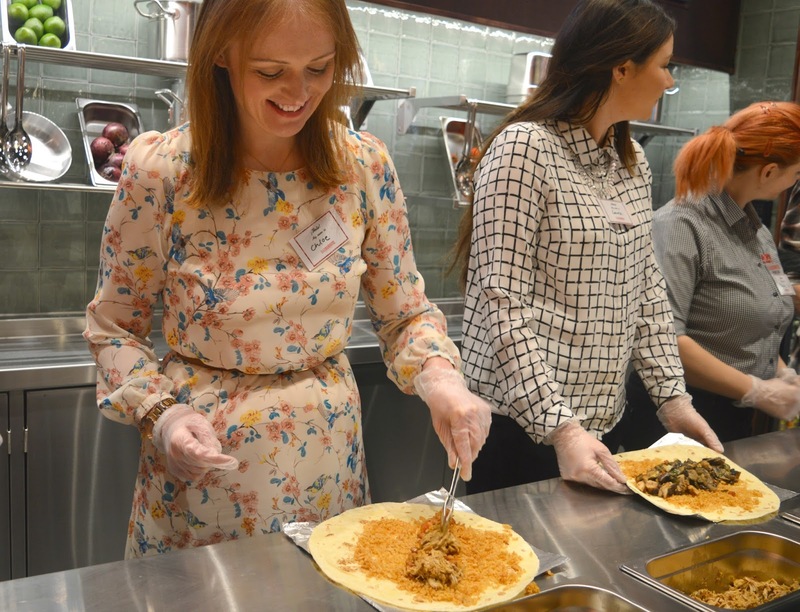 Wrapping a burrito fully loaded was far trickier than our rehearsal and I definitely had a lot of help with mine to ensure that my food was actually edible at the end, left to my own devices and I fear most of my meal would have ended up on the floor. As with most things in the kitchen Simon was far better than me, which just confirmed to me that appointing him Chef of our house was the right decision. Happy with our efforts we took our food back to the table and hungrily ate the whole lot even though it was absolutely huge! With salsa running down our chins and hands covered in meat and guacamole we left with very happy tummies. Although Zapatista will always be number one for us, it's great to see a similar offering for Gateshead and Barburrito get a big messy thumbs up from me and Simon. If you're at the Metrocentre on a shopping spree then make sure you check out Barburrito in the Qube, for an added bonus head to Barburrito's Facebook page for a special Buy One Get One Free launch voucher which is valid until 14 April 2016. You'll be very pleased to know that I wont be behind the counter serving you! Oh my this looks amazing! What a fab evening spent!